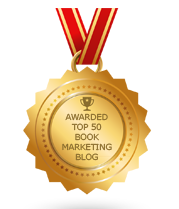 BookMarketingBuzzBlog: Do Authors Lament or Celebrate As Social Media Is Dying On The Vine? Do Authors Lament or Celebrate As Social Media Is Dying On The Vine? Vine was pronounced dead by Twitter when it recently announced it was shedding 9% of its workforce, in a bid to become more profitable. I never used the six-second video social media platform, but many people did. I can’t imagine what happens to those who relied on Vine to market their books, brand themselves, and seek to get a message out. Is this a window into what will come – and what, if anything can be done about it? · YouTube asserts its dominance. · If Twitter can fail big with its digital acquisition, so can others. · Twitter is vulnerable to falling as well. · Social media is crowded but dominated by just a handful of players. · You can’t develop a media strategy that’s too heavy in any one area, because it can just disappear as fast as it came on the scene. · People are not as ADHD as we thought – perhaps a six-second video really was too short to be meaningful. · Twitter could be moving closer to creating a pay wall for its platform – with others like FB, You Tube, and LI to follow possibly. Vine said it had 100 million people watch videos this past month. Somehow it couldn’t find a way to make money. What’s wrong with Silicon Valley? Writers, by and large, wish they did not have to invest so much time, creativity, and effort in branding themselves and marketing their books, especially through social media. It can be tedious and repetitive work, where the rewards don’t always seem obvious or significant. So when authors hear that Vine is shutting down, some may react with applause in hopes that all of social media would simply disappear. Other writers, such as me, fear of what’s to come. Could LinkedIn suddenly shutter and my 20,000 connections just leave with it? Could Facebook or Twitter evaporate, along with my followers and the ability to share blog posts? If it impacts me and you, how will it impact other media that’s now become dependent on using its nemesis? We live in a world that once something gets introduced, it gets adopted. Once it’s embraced by the masses, what happens when it goes away? We’ve been broken in the past 20 years to get used to digital life. It’s changed how we do everything from information consumption and sharing, to shopping, donating, and job hunting. Social media was once an annoyance and seemingly a fad or hobby, but now it’s so entrenched in our society and way of marketing that for it to disappear, piece by piece, is quite troubling and vexing. I personally won’t miss what I don’t use, but as Vine exits the grand stage, I wonder what might take its place – and what might be next to vanish. Before print gives way completely to digital, let’s admit that parts of digital are quite vulnerable themselves. Of course, all of this may not mean anything. I’m sure we’ll develop new modes of communication that will put all of the current technology to shame. We think it’s so cool to have a computer in our pockets, to have 24-7 access to things, to find what we want or need in a matter of a few clicks, and it is great, but science and technology will advance far beyond this. It’s only a matter of time before wearable technology expands – and then it’ll be inside of us – in our blood stream, in our brains, in our bones. We’ll be bionic and robotic. Humans and machines will become one. It may not fully happen in anyone’s lifetime today, but it’ll happen. How could it not? Maybe I watch too many Terminator movies or Total Recall films, but the future won’t be about Facebook and it certainly won’t be about Vine.